The former Revel Casino in Atlantic City is now the Ocean Resort Casino. Mark Wahlberg brought a priest to Ocean Resort Casino and was spotted having dinner in Atlantic City over the weekend in preparation for the new casino’s opening on June 28. 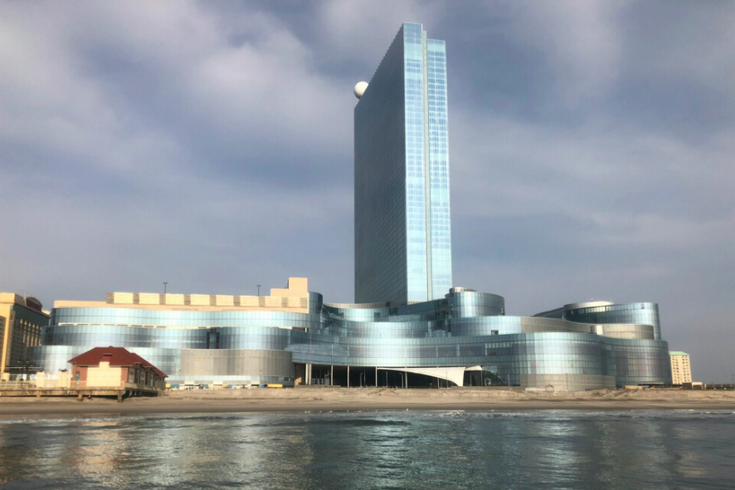 Ocean Resort is Wahlberg’s latest venture and one of the many high-profile partnerships for the renovated casino that was formerly the Revel, which declared bankruptcy and closed after a string of financial conundrums and labor disputes did it in for good in 2014. The resort was purchased by Bruce Deifik in January and has been undergoing $175 million in renovations since. Deifik’s AC Ocean Walk said the new casino and resort will bring between 2,500 to 3,000 new jobs to Atlantic City. Wahlberg will open one of his burger restaurants in the casino, as well as a bar called Entourage, the Associated Press reported. The actor, who is known for being an outspoken Catholic, brought the Rev. Jon Thomas of the Parish of St. Monica to bless the facility with prayer and holy water, Page Six reports. The 47-story Revel tower, completed in 2012 at a cost of $2.4 billion, closed its doors in 2014 but was purchased by Florida developer Glenn Straub for just $82 million in 2015. There were plans to rebrand it as TEN AC and reopen it earlier this year. Straub's vision never materialized, mainly due to a legal battle over casino licensing, and the property was sold to Deifik's group for about $200 million. The resort will be on the northern end of the boardwalk and sits on 20 acres. And apparently many issues with the Revel — a confusing layout, a not-so-welcoming feel, a smoking ban — will all be resolved.